Do you know those songs that pop up every now and then with a really upbeat tempo, but pretty depressing lyrics? Well, if you took that, wrapped up its essence into a few strips of film, you’d have the latest live-action remake from Walt Disney Studios, Dumbo. We all know the story, but in case you need a refresher: the original Dumbo followed the little elephant in the aftermath of being separated from his mother and slowly, but surely learning to use the giant ears, that he got ridiculed for, to become the legendary “flying elephant.” This retelling of the story follows this same story, but goes beyond the boundaries of the original with a star-studded human cast that adds even more layers to the tale. Director Tim Burton uses a dim optimism to tell the tiny elephant’s story with more than a few dashes of Disney magic. The film is both bleak and bright at the same time, if that makes sense. The magic and wonder of a Disney movie is mixed so well with Burton’s own dark tone and cinematography that makes the film feel like a gut punch during its sad moments. Though its saddest moment, the one where Dumbo’s mother rocks him with her trunk while he cries, is shortened in the remake. My overactive tear ducts thank the filmmakers for that. 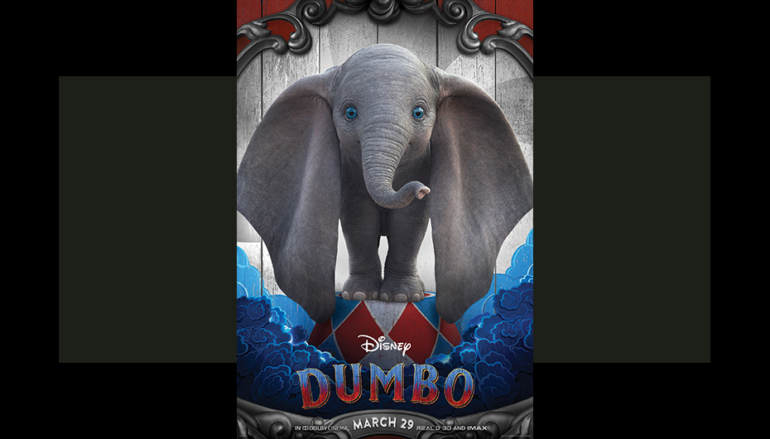 Of course, the best character of the entire movie is Dumbo himself. From the moment he steps on screen, you feel joy and embrace the idea of how spectacular this elephant actually is. Each and every time he begins to fly with those big ears on screen, it inspires a sense of childlike wonder that very few outside of Disney can manufacture these days. While some of the acting could have certainly been improved (there are just a few dry performances), this remake is one of my favorites that Disney has made so far. We are in for quite a few more this year, but it will be hard to beat the magic created in the original 1941 animated classic about a little elephant that learned to fly that’s still here in its 2019 remake.